We offer our clients high quality brush cutter for cutting wild grass and vegetation growth and keep the area neat and tidy. 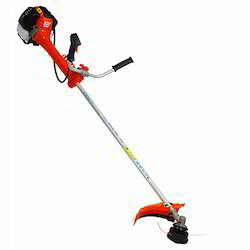 We have wide range of electric and petrol brush cutter. Our brush cutter is also used for cutting crops like paddy, wheat, soyabean and sugarcane etc. Our brush cutter is available at the most affordable prices. We are reckoned as leading manufacturer of crop cutter. We offer our clients high quality heavy duty crop cutter for cutting crops like wheat, paddy, sugarcane, soyabean, jwar, bajra, arhar etc. Our crop cutter is powered by 2.1 HP powerful petrol engine. Our crop cutter has appropriate 60 teeth, 80 teeth, 100 teeth, 120 teeth metal blade for cutting various type of crops. Our crop cutter has anti-vibration attachment for ultimate comfort in use. It is available at the most economical price. Having a definite quality management system, we are regarded as the noteworthy manufacturer, wholesaler and supplier of Honda Brush Cutter GX35. Extensively used for cutting grass, wild vegetation growth and jungle growth, provided cutter is manufactured by utilizing the best quality raw material and modern technology. Our Honda Brush Cutter is powered by Honda GX35 engine. We offer our Honda Brush Cutter at the most economical price. 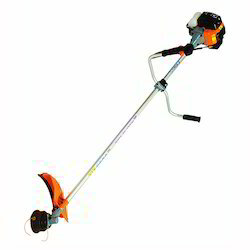 We are pioneer manufacturers and suppliers of high quality Two Stroke and Four Stroke Brush Cutter, which is widely used for cutting wild grass and shrub growth in various institutions and industries. It has international CE quality assurance. Our brush cutter is also widely used for cutting various type of crops like paddy, wheat, soyabean, animal fodder crops etc. We are pioneer manufacturers and suppliers of high quality Power Weeder, which is widely used for cutting wild grass and shrub growth in various institutions and industries. It has international CE quality assurance. Our power weeder is also widely used for cutting various type of crops like paddy, wheat, soyabean, animal fodder crops etc. We are well reckoned manufacturer and supplier of high quality Grass Cutting Machine for cutting wild grass, jungle growth and shrubs. Our grass cutting machine is powered by heavy duty petrol engine. 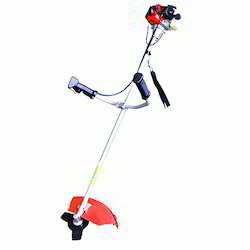 Our grass cutting machine comes with nylon trimmer and metal blade for cutting all type of grasses and shrubs. Our grass cutting machine is manufactured with top quality spares. Our grass cutting machine is available at the most affordable price. We are established manufacturers of high quality paddy cutter Machine for cutting crops like paddy, wheat, sugarcane, soyabean and other crops. Our paddy cutter are designed for heavy duty use. We manufacture our our paddy cutter with top quality spares. Our paddy cutter are very easy to use and maintain. Our paddy cutter has low vibration attachment for ultimate comfort in use. We are well known manufacturers and suppliers of high quality weed cutter. Our weed cutter is manufactured with high precision and quality. 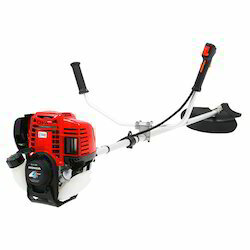 Our weed cutter is powered by heavy duty 43 CC 2.1 HP petrol engine. Our weed cutter has nylon trimmer line and metal blade to cut all type of weed grass and jungle growth. 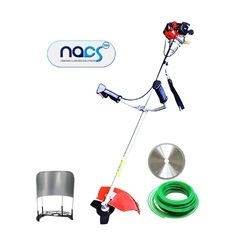 We are renowned manufacturers and suppliers of high quality Grass Trimmer for cutting grass, shrubs and vegetation to keep premises neat and clean. 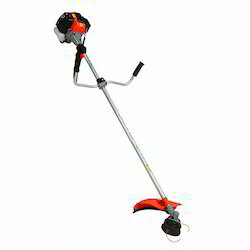 We have both petrol and electric operated grass trimmer. Our grass trimmer is manufactured with high precision and quality and we use top quality spares for high performance and life. 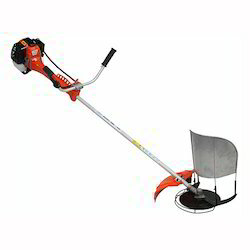 Our grass trimmer comes with metal blade and nylon trimmer line for cutting all type of grass and shrub. Our machine is available at the most economical price. We are well reckoned manufacturer and supplier of Grass Cutter Machine for cutting wild grass growth, vegetation and shrubs. Our grass cutter machine is manufactured with high precision deploying high technology and top quality spare parts. Our grass cutter machine is powered by powerful 2 HP petrol engine and it comes with nylon trimmer line and metal blade that empowers it to cut even thick brushes. We offer our clients excellent Line Trimmer. 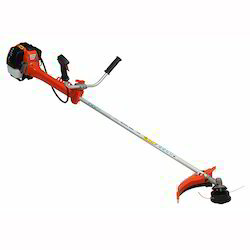 Our Line Trimmer is powered by 2 HP heavy duty petrol Engine. Our Line Trimmer has been provided with anti-vibration attachment. Our Line trimmer is an ideal machine for cutting grass at the edges. Also our line trimmer can cut big grass, jungle and shrub growth, keeping your area neat and tidy. 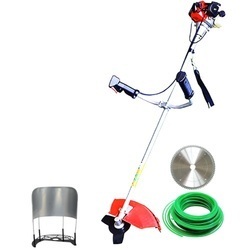 Our Line trimmer is available at the most affordable prices. It can trim the grass in undulating areas and on embankments very efficiently. We are pioneer manufacturers and suppliers of high quality Heavy Duty Four Stroke Brush Cutter, which is widely used for cutting wild grass and shrub growth in various institutions and industries. It has international CE quality assurance. Our four stroke brush cutter is also widely used for cutting various type of crops like paddy, wheat, soyabean, animal fodder crops etc. 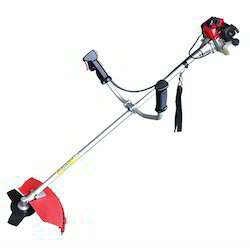 We are pioneer manufacturers and suppliers of high quality Two Stroke Brush Cutter, which is widely used for cutting wild grass and shrub growth in various institutions and industries. It has international CE quality assurance. Our two stroke brush cutter is also widely used for cutting various type of crops like paddy, wheat, soyabean, animal fodder crops etc.